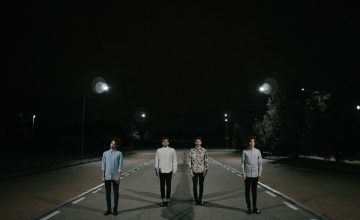 How many English musicians have become famous in Italy? Loads. And Italian musicians in the UK? Well, there are some… But in 1958, an English TV director, Jack Good, arrived in Milan searching for new talent to launch in Britain. 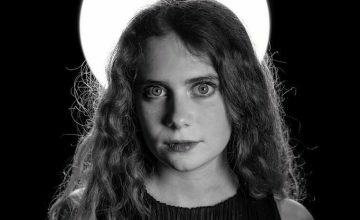 He’s a friend of Krikor Mintanjan, the manager of the biggest label of the time – Durium – who had just signed a 17-year-old and his brothers from Tivoli, who had been kissed by a rock ‘n’ roll sun. Good can’t believe it… Rockers?! In Italy?! Seen and heard! 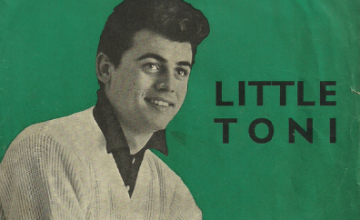 Little Tony and His Brothers won him over, and he brought him back with him to the UK for the 12th September 1959 – the debut of his show dedicated to R’n’R, Boy Meets Girls presented by Marty Wilde, future father of Kim. It was recorded in Manchester in an ex-cinema “where there was a gallery full of 3,000 screaming girls and a stage full of artists playing”, as Little Tony remembered. But they rehearsed in London, so that’s where the four stayed, at Olivelli’s Hotel (now Olivelli’s Restaurant) at 35, Store Street. In the afternoon, they took the train, powered by coal, to Manchester, where the show went out at 6pm. Good had planned to keep them on for “two or three” episodes, but instead, they brought the house down. 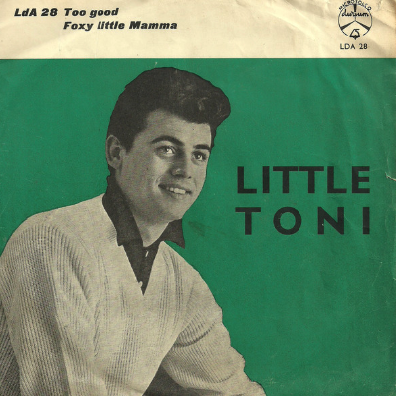 Little Tony's brothers had to go back to Italy due to legal restrictions on foreign musicians, but Little Tony himself stayed and became a resident artist on the show, buried under the thousands of letters from adoring girls. He only knew about 3 words in English, but this was quickly put right by his new flame, the actress Carol White. He was listed on Decca, an English colleague of Durium, a series of R'n'R covers until the label called Doc Pomus and Mort Shuman (of Save the Last Dance For Me and Viva Las Vegas) who wrote “Too Good” for him. And boom! Top 20 straight away for three full weeks in January 1960. And then it all took off: Little Tony started a tour with Adam Faith, the British R’n’R star, he opened at Paris Olympia for Cliff Richard and the Shadows in February 1960, he was in the cast of Wham!, Jack Good’s new show coming out from 23rd April with Billy Fury, Vince Taylor and Johnny Kidd and The Pirates. And then, as we all know, for a few years those guitar groups went out of fashion and so Little Tony headed back to Italy. Italy tried to change him into a friendly or comic singer, but to no avail - in January 1961 he came second at the Sanremo Festival with a duet with Adriano Celentano (the Italian star of R’n’R with 24 Thousand Kisses (24mila baci). It was the last hit of Italian Rock and Roll. Little Tony continued to be a star in Italy for at least the next 10 years.